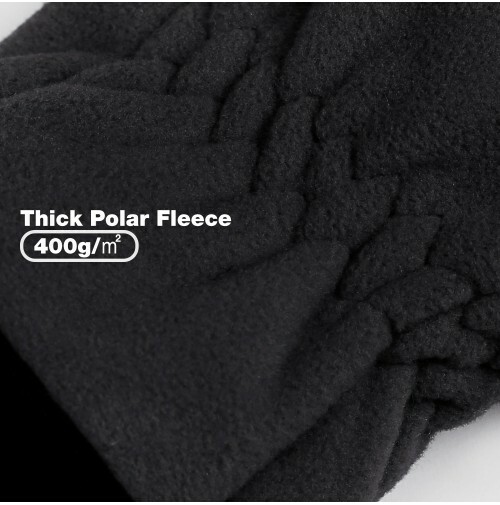 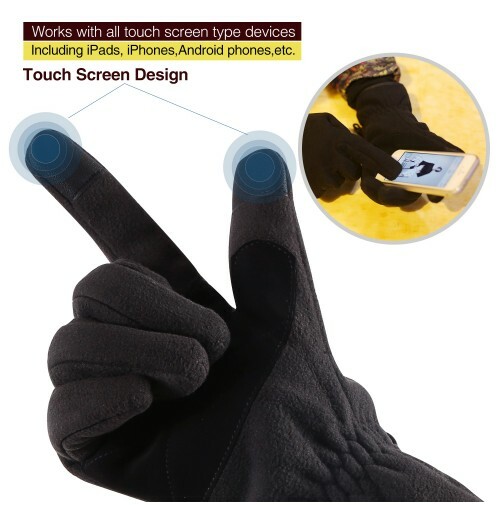 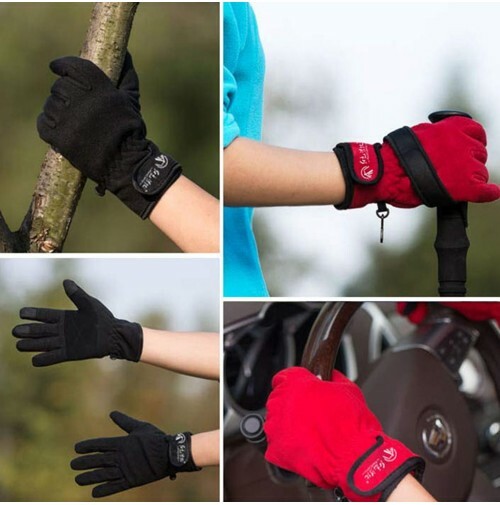 Comfortable and Versatile: Thick polar fleece and windproof,more warmer and flexible.This outdoor sports warm gloves is ideal for driving, running, cycling, walking, hiking, climbing,photography, etc. 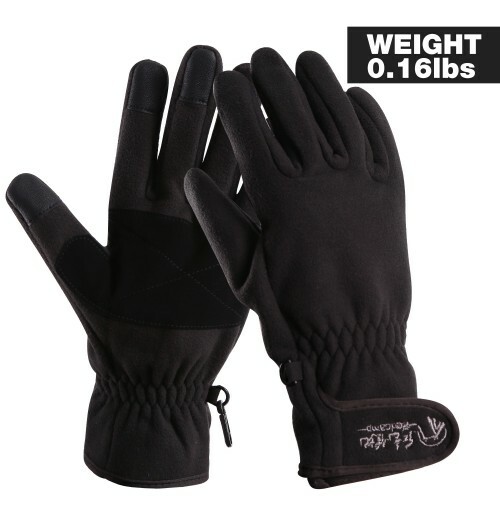 Sizes and Color:We have three sizes,hand circumference is S:8.6",M:9",L:9.4".Two colors black and red.Fits for women and men. 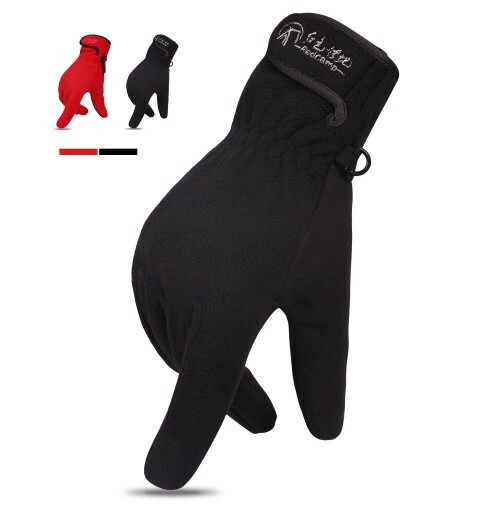 Perfect Gift: This is a high-quality warm full finger gloves,two different colors,three sizes,is the best gloves in winter. 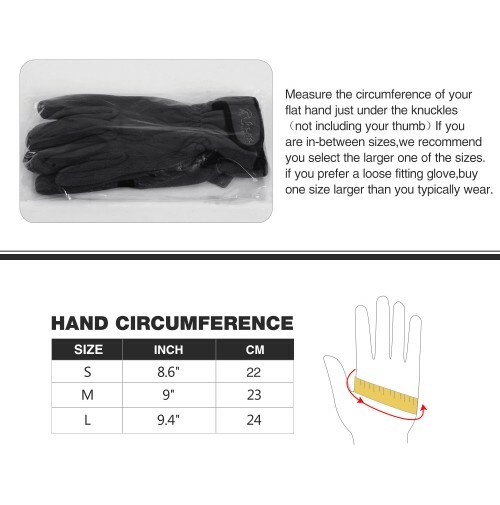 Measure the circumference of your flat hand just under the knuckles (not including your thumb). 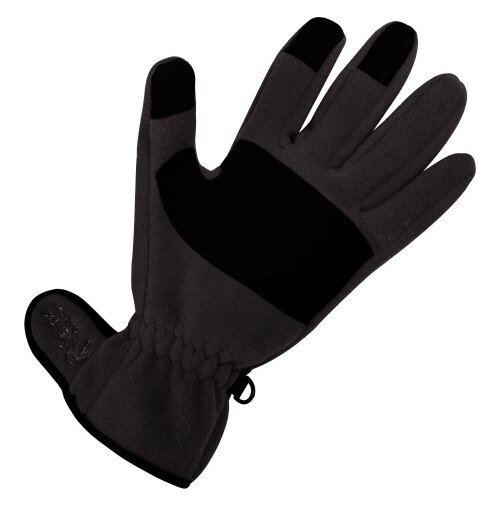 If you are in-between sizes, we recommend you select the larger one of the sizes.Hand circumference, S:8.6",M:9",L:9.4".